In 2009, a virtual farming game by the name of FarmVille took the Internet and, more specifically, Facebook by storm. Millions of users logged on to the social network day after day to sow seeds, water their crops and, eventually, harvest them. Eight years later, a Bangalore-based startup is looking to replicate the magic. Users of the Farmizen app, just like FarmVille, can grow vegetables on their plot and pluck them when they ripen. Except, this time around the farming is real. And so are the veggies. Early last year, former Amazon executives Shameek Chakravarty and Sudaakeran Balasubramanian, and entrepreneur Gitanjanli Rajamani, together rented a plot in the periphery of Bangalore to grow chemical-free food. In just nine months, they achieved a level of output where they did not need to buy vegetables from outside. By now, the trio had also realised that there was a market for people wanting to grow their own food. Surveys only strengthened the hypothesis. “Gitanjali, who runs an urban gardening startup, noticed that people did not trust the organic food in the market, and were trying to grow their own food in balconies. But the output was not enough,” Chakravarty said. Together, the three founded Farmizen Technologies Pvt. Ltd in January this year. Using the Farmizen app, paid subscribers can rent a mini-plot in a semi-urban farm, i.e., 15-20 km from the city. They can choose the vegetables they wish to grow on their plot. Users can keep tabs on what is happening on the farm, whether it's their plants flowering or getting ready for harvest. Once harvested, they can either pick up the produce from the farm or get it home-delivered. Farmizen offers farming of 40 vegetables, including brinjal, cauliflower, cabbage, lettuce, and kale. The list keeps changing according to the season. The app recommends crops that would suit the subscriber's needs, a feature likely to come in handy for farming greenhorns. “If you don’t plan properly, you will end up with 3 kg of radish and 6 kg of ladyfingers, and only tomatoes the next month. We have plans according to specific diets, say, continental, which helps avoid wastage,” explains Chakravarty. Farmizen also sets aside common areas in every farm. 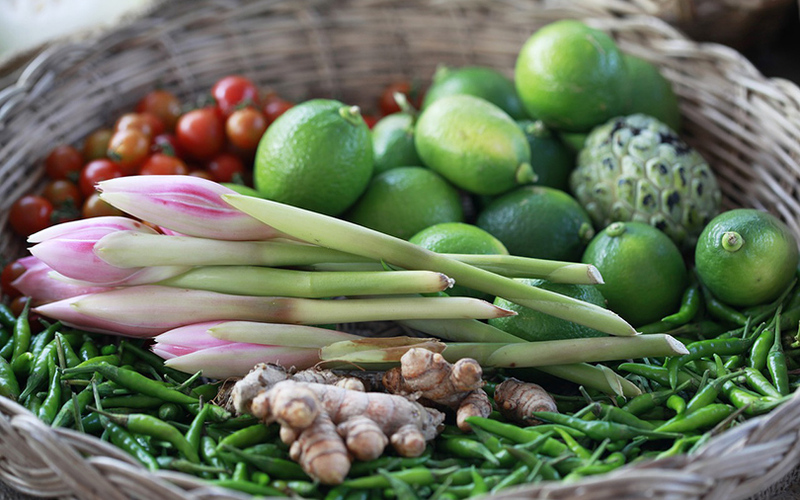 The produce from these plots, such as herbs, are distributed among the users. 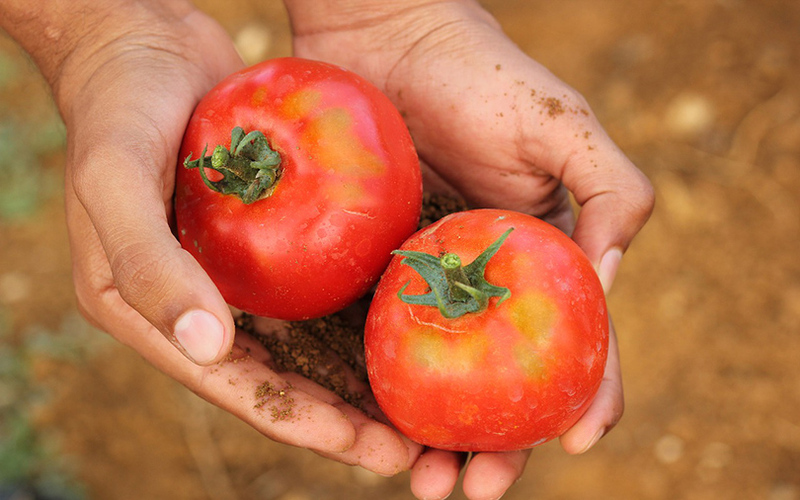 The startup's first farm, a 1.5-acre plot about 10 kilometres from Bangalore, started in June. It caters to as many as 79 subscribers, and has a waitlist of 320 people. “Many subscribers come to the farm to work with farmers, sow seeds or prepare fertilisers, and volunteer labour. Families come to have a picnic also. This model allows them to do this whenever they want, without the liability of owning and maintaining a plot,” Chakravarty says. To obtain farmlands, the company enters into rent-share agreements with farmers. It also provides the farmer with agricultural equipment in exchange for a higher share of the revenue. Farmers then grow the vegetables as per subscribers' requests. A farmer with, say, 3 acres of land usually grows only 2-3 crops at a time. With Farmizen, the company claims, he can grow up to 20 crops using natural methods. This also improves the quality of the soil. Multiple crops also help from the risk management perspective. If there are 30 crops growing on a farm and three fail, the rest compensate for the loss. Most farmers with small landholdings eke out an average profit of Rs 7,000-8,000 per acre per month. Chakravarty claims that in the Farmizen model, farmers can earn three to five times that. Besides, there is certain amount of safety built into the model as far as the vagaries of nature go. While signing up for Farmizen, a subscriber has to pay an upfront fee for the produce and labour, irrespective of the yield of their mini-plot. This way, the risk does not fall fully on the farmers and a steady income stream is created for them. “Farmers invest a lot to grow tomatoes, but if the prices crash to, say, Rs 5 per kg, they don’t even bother bearing the cost of travel and throw the produce. There is so much price uncertainty that farmers lose money even if the crop doesn't fail. Our model corrects this equation, as the price risk is borne by the consumer,” Chakravarty explains. The app supports bilingual and voice-based instructions to help farmers manage the mini-plots and adopt better agricultural practices. One of the main reasons Farmizen is finding takers is that despite paying a 20-100% premium for 'organically produced' vegetables, one can't be sure that inorganic means were not introduced at any point in the supply chain. Farmizen brings down the number of middle men in the supply chain to one from four-five. One way Farmizen keeps costs in check is by skipping cold storage. The produce typically reaches the consumer within 5-8 hours of the harvest, it claims. "In our model, there is no need for this storage as the farm-to-home process is only 5-8 hours. Harvest happens in the morning and by afternoon it is delivered," Chakravarty says. Besides, there is less wastage vis-a-vis the produce bought at supermarkets. "When consumers see the vegetable has grown on their own plot, they don’t waste even if it doesn't look very good and shiny... When supermarkets decide on a price, they factor in this wastage. With Farmizen, this factor is eliminated, saving money for both farmer and consumer,” he explained. Farmizen plans to launch 12-15 more farms in the next two months outside Bangalore, and expects them to serve 2,000 customers. To finance the expansion, it raised an undisclosed amount in a seed round recently. Investors included venture capital firm Venture Highway, former Canaan Partners managing director and Indifi co-founder Alok Mittal, founders of gaming portal adda52.com Mohit Agarwal and Anuj Gupta, and a few other angels. Leveraging rising mobile and Internet penetration, several agri-tech startups are offering farmers services such as on-demand delivery of farm inputs, online financial assistance, weather updates, drone-driven crop health identification, soil health assessment and equipment on rent, among others. They have also been able to attract a reasonable amount of investor interest. Last month, Crofarm, a startup that connects farmers with retailers, raised Rs 5 crore in a pre-Series A round led by US-based venture development firm Factor[e] Ventures. Google India managing director Rajan Anandan and PayU India managing director Jitendra Gupta also invested. Noida-based EM3 Agri Services Pvt. Ltd, which offers on-demand farming services and machinery, recently raised $10 million (Rs 63.7 crore) in a Series B round led by London-based Global Innovation Fund. In April, Chennai-based Waycool Foods and Products Pvt. Ltd, which operates an omni-channel fresh produce distribution platform, raised $2.7 million from impact investor Aspada Investment Company. Globally, too, the interest is palpable with biggies like Japan's SoftBank leading a $200-million investment in Silicon Valley startup Plenty, which claims to have cracked the code on growing crops indoors efficiently. Funds investing on behalf of Alphabet’s Eric Schmidt and Amazon’s Jeff Bezos also backed the company.